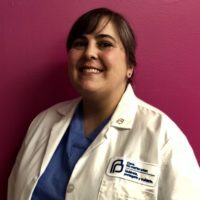 Dr. Monica Dragoman currently serves as Medical Director of Planned Parenthood of New York City (PPNYC) which offers a full-range of sexual and reproductive health services to people across all five boroughs of New York City. Dr. Dragoman has a strong track record of promoting high quality, comprehensive reproductive health care throughout her career. She remains actively engaged in clinical care and continues to routinely train diverse cadres of clinicians. Her research and publications emphasize understanding safety and best practices for patient-centered provision of medical abortion, surgical abortion and contraception. It is monumental that we have removed antiquated laws that criminalize the provision of routine medical care.